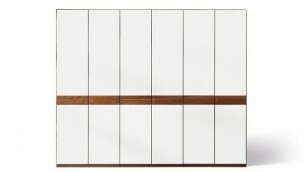 The central section of relief revolving and folding door wardrobe fronts is reminiscent of a Greek column. 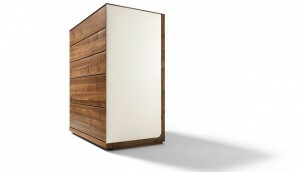 The Soft hinged door wardrobe wins on every level: high-quality craftsmanship in pure natural wood and a lean price. 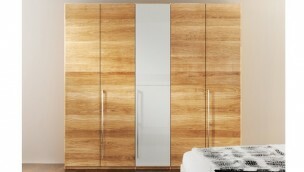 The cross-grained natural wood fronts are characteristic of the Lunetto hinged door wardrobe. 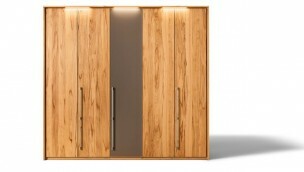 With Nox Wardrobes, wooden elements fit vertically into the picture. 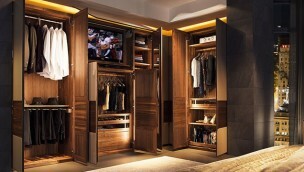 Whether with hinged door or sliding door: the Valore Wardrobes provide exactly the required storage space. Recessed slides let the Riletto bed appear to float. 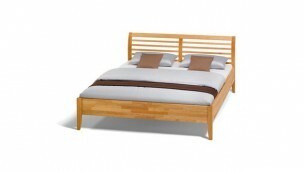 Headboard and bed sides are optionally available in genuine natural wood or in leather. 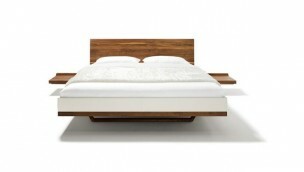 The 3.9 cm thick natural wood bed sides with their S-shaped edge are characteristic of the nox bed. At the corners, the visible wood connections linking the bed sides combine to form an elegant S-line. Recessed foot panels let the nox bed appear to float. The bed’s cleverly crafted, metal-free connections are exceedingly robust and easy to dismantle when moving to a new home. 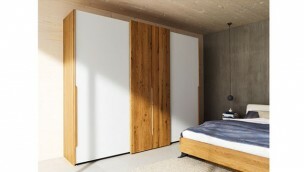 Traditional metal-free wood connections characterize the sesam bed. 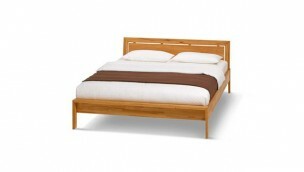 Pure natural wood, exclusively finished with herbal oil, ensures a comfortable and healthy sleep at all times. 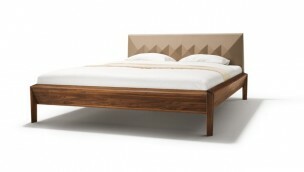 The sesam bed is available with three different headboards: with horizontal slats, vertical slats or wood panel. The lunetto bed looks exceedingly good and is also attractively priced. The thin material lets the lunetto bed appear particularly light. Stability and the absence of metal are assured by complex, traditional wood connections. 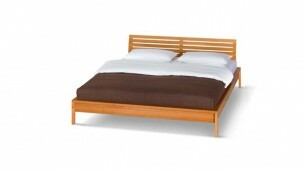 The lunetto bed is available with wooden headboard, straight wooden headboard or leather headboard. Low legs and the elegant material thickness characterize the valore bed. 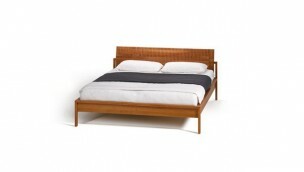 The headboard is available either with horizontal slats or in leather. Both versions can additionally be framed. The valore bed is available in three heights. Stability and the absence of metal are assured by complex, traditional wood connections. 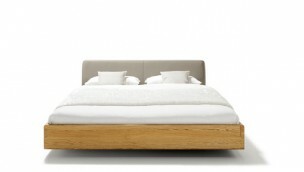 The valore bed with relief headboard in natural wood looks rather like a Greek column. A moulding at right angles to the wood grain gives the wooden relief headboard a distinctly temperamental look. 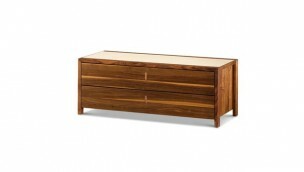 Vibrant and three-dimensional, natural wood is presented here in its most attractive form. The precious wood’s charismatic nature is outstandingly revealed in the relief headboard. A central element of the design, triangles dictate the geometry of the Lux bed and pervade even the three-dimensional upholstered headboard. The flap handle of natural wood or stainless steel on the Valore night stands and chests of drawers is both attractive and handy. 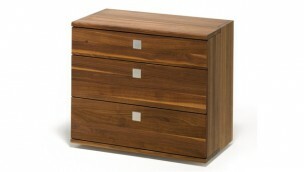 The harmonious junction of long and short sides is characteristic of the nox night stands and chests of drawers. 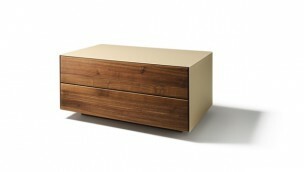 The harmonious interplay of natural wood and leather is characteristic of the riletto night stands and chests of drawers. Leather-covered sides matching the riletto bed with leather sides also form an attractive contrast to the elegant natural wood of the night stands and chests of drawers. Elegant coloured glass surrounds are characteristic of the cubus pure range. Homogeneous glass surfaces emphasise the vibrant beauty of the natural wood surfaces. The fine glass edge and recessed plinth make for a light, floating visual appearance. The harmonious proportions of lux can be put down to the principles of the golden ratio that are applied across the range. This “natural law of aesthetics” is also applied to the lux bedside table and chests of drawers. Another lux hallmark is the high level of individuality permitted with the fronts, as you have a choice of material, colour and opening function, including a handle-free design or the perfectly designed lux handle. 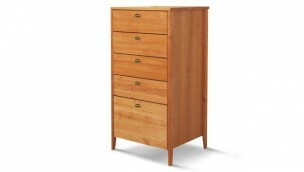 The elegant Lunetto night stands and chests of drawers are exceedingly convenient. 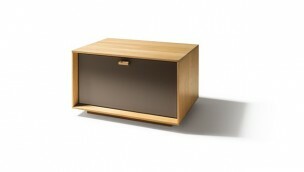 Sesam night stands and chests of drawers complement the Sesam bed perfectly.